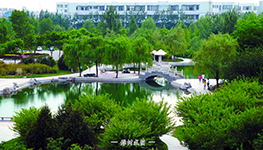 Established in 1956，Shandong University of Technology (SDUT) is located in Zibo City, Shandong Province. The campus covers an area of 240 hectares and combines a pleasant locale with convenient transportation. It is only 1.5 hours from the coastal city of Qingdao by high-speed train, and about 2.5 hours' drive from the city of Qufu, Confucius'hometown. SDUT offers 75 undergraduate programs, 98 graduate programs, and 13 doctoral programs. 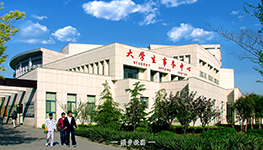 Programs in the areas of Chinese Language and Literature, Engineering and Business are well regarded at home and abroad. SDUT offers the Bachelor's Degree of International Business and Trade (International Logistics) in English special for the international students. 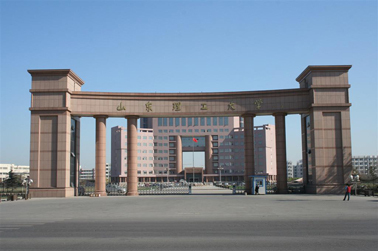 As one of the examination centers for HSK, SDUT accepts international students sponsored by the Chinese Government Scholarship and the Shandong Provincial Government Scholarship. Until 2015, more than 3,000 international students from over 20 countries have graduated from SDUT. We welcome more international students to join us and study at SDUT.